Have you noticed that in recent times, competition in the professional sector has increased substantially? Job seekers and employers alike are becoming smarter and more competitive when it comes to jobs. There is a constant race to bag the best job, the best pay package, the best fresh graduate or the best employee for a particular position. So how can you, as a job seeker, land your dream job – that too, right after or even during your graduate / post graduate academic life? With the world becoming a hub for effective communication, the concept of job fairs is now becoming common and wide spread in universities and colleges around the world. But what is a job fair? How can it help you? In simple terms, job fairs, also known as recruitment or career fairs, are exhibitions or fairs for employers, head hunters, recruiters and schools to meet and greet perspective job seekers and potential employees for their organizations. On such events, a large number of organizations come together under one roof, set up their space, and give out information to potential employees. On the other hand, job seekers try to, not only get as much information as possible, but also to make a good impression on their potential future employers and colleagues. Job fairs are a great way for you to investigate employment opportunities and get more information about companies that are located in your area. A lot of people consider job fair events as an opportunity! You can drop your resume and communicate in a manner that could make a lasting impression on a potential employer – quite like an interview. Job fairs – why should you consider them important? It is a splendid way to meet potential employers: After all, where else would you find the opportunity to meet with so many employers under the same roof and at the same time? You get to make contacts: Let’s face it, it is tedious, but it is an investment in your own future as you get to speak and communicate with potential employers who you may be able to contact later when you need a job. Gets you a reality check of what awaits you: Whoever said job searching is a job in itself was right. 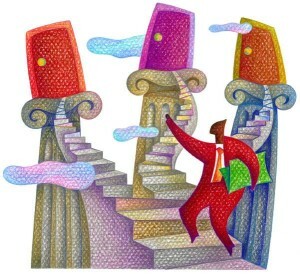 Attending a career fair will make you aware of the intricacies of searching for a job. Most importantly, you will become aware of the competition that you will face in the sea of candidates who are also applying for the same positions as yourself. Broadens your horizon: Attending recruitment fairs gives you a chance to explore career options that you may not have thought about before. Polishes your networking skills: As a motivated and enthusiastic job seeker, when you know you have to attend a job fair, you are encouraged to keep your cover letters and resumes up to date with the requirements of the employers. Moreover, you are prompted to work hard on polishing your communication and networking skills. Brings out the leader in you: If you are passionate and motivated, a job fair will give you an opportunity to shine through and show your potential employer that you have what it takes to be a good leader. By being assertive, taking charge and initiative, you will be able to sell yourself as a perfect candidate for any job, even if you have little experience and skills! Now that you are convinced that employment fairs are in fact important for the future of your job search and potential employment, what can you do to make the most out of them? Before you go – Prepare! Know your audience: Make sure you know which employers are attending the career fair. You should have a list of the organizations attending the career fair in your university or area. Make sure to read up on these organizations and if possible, review the positions available for which you may be able to apply. You may also have a list of the employers who are going to attend the career fair so that you are able to tailor your communication style and resume accordingly. Adopt the funnel approach: you should have gathered enough information to narrow down your list of potential employers to a few. This way, you will be able to save time and energy in figuring out how you need to manage your communication style and resume. Being someone they would be interested in! “YOU” are your resume: make sure that you have plenty of copies of your resumes with you. As mentioned before, you may even need to make a few different versions for different employers. This practice will make it easy for your potential employer to talk to you while skimming through your resume. Prepare an introduction: You should rehearse and prepare a short introduction to yourself to use with employers. This should include your qualifications, what kind of a skill set you possess and what kind of a job you are looking for. Make sure you do not sound like a pre recorded robot; rather, you should be friendly and tailor your introduction depending on the position of the employer who is representing the organization. Question them: you should have a list of questions that you want to ask your potential employers. Make sure you have researched well and your questions are relevant to the organization so that you do not end up asking questions that are basic. Ask smart, thought out questions that are a testament to your intellect. This could also include information that is not available on the company website or brochure. Trust me, if they wanted a parrot, they would go to the pet store not a job fair! Dress accordingly: Each job fair has its own dress code. Moreover, it also depends on where the job fair is being held; is it at your local community center, or is it at your college/university? You need to know what kind of attire is suitable for the venue and the scale of the career fair, and dress appropriately. What are the salary and benefits for this position? When will you call me back? On the spot – How do you conduct yourself at the fair? Your preparation for the job fair will go to waste if you do not conduct yourself appropriately at the time of the event. Hence it is important to take into consideration the following tips and tricks for you to make the most of this day. Do not eliminate companies just because they require a skill set you do not have, at the moment. You can always learn new things along the way. Mind your manners and be polite. Make sure to shake hands and make eye contact with potential employers. Remember, it’s a job fair, not a social event. Carry your documents in a file cover to avoid shuffling and disorganization. Don’t be intimidated or over whelmed by a recruiter. Do add a personal touch by using a recruiter’s and/or potential employer’s name while you speak to them. Be clear, crisp and engaging when you converse with potential employers. Pay attention to potential employers when they are talking to you or giving you information about the company, even if you already know it. Avoid bad habits such as playing with your hair, biting your nails or lips, chewing gum, fidgeting with your hands, rubbing your nose etc. ticks are frowned upon and are taken as a sign of nervous anxiety, not an appealing feature in any applicant. Be polite and never interrupt conversations, it doesn’t matter how great your point is wait for a dialogue to end before you intervene. Be positive in your conversation and energetic. Networking is the key to success! Employers want to know fresh talent, and you want to know whose hiring. The market is always changing; the best way to keep up with trends is by talking to a LOT of people. Don’t just drop your cover letter and resume or CV at the employer’s booth and walk away. Highlight your strengths and skill set for a job – be assertive but not aggressive. Follow up with each recruiter you gave your resume to. On an ending note, it is important to be yourself and shine through with all your positive energy and zeal. Have faith and confidence in yourself, really, truly, believe that you have what it takes to be a great asset to any company. This entry was posted in Job Fairs and tagged #jobfair, job fairs.